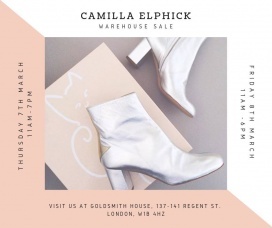 Shop for women's footwear at reduced prices at the Camilla Elphick Warehouse Sale. 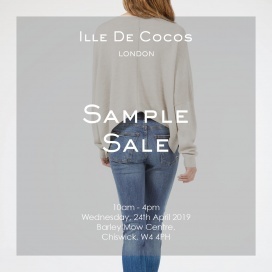 The Warehouse Sale will be comprised of previous season and one off sample items. Shop for beachwear for women at reduced prices at the Adriana Degreas Sample Sale. 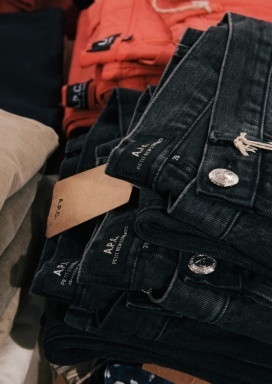 Shop for women's apparel and accessories at reduced prices at the Multi Brand Sample Sale. 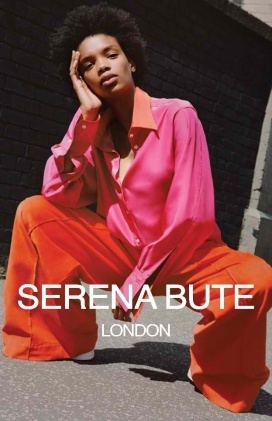 Brands included are Serena Bute, Majorelle, Monreal, and Hanane Hotait. Shop for kids' apparel at reduced prices at the Wild and Gorgeous Sample Sale. Take up to 80% discount on women's apparel and accessories at the EAST Clearance Sale. Blouses, trousers, dresses, jackets, skirts, knits, and tunics starting at £15 and accessories for £10. Take up to 80% discount on men's apparel, accessories, and footwear at the G. H. Bass Sample Sale. Brands included are CMMN SWDN, The Workers Club, E Tautz, and Casely-Hayford. 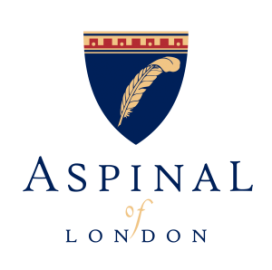 Shop for accessories, bags, stationery, travel goods, and crafted gifts at reduced prices at the Aspinal of London Sample Sale. 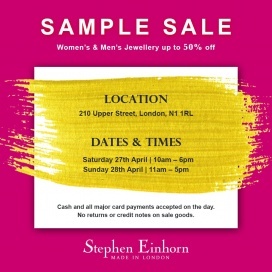 Shop for scarf and leather goods at reduced prices at the Pickett London Sample Sale. Shop for women's apparel at reduced pricesat the Scarlett and Jo Sample Sale. Dresses are available for as low as £10 and tops for as low as £5. 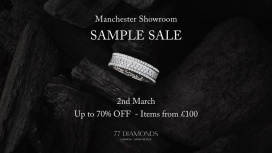 Shop for bridal gowns at reduced prices at the The Wedding Dress Shop Sample Sale. 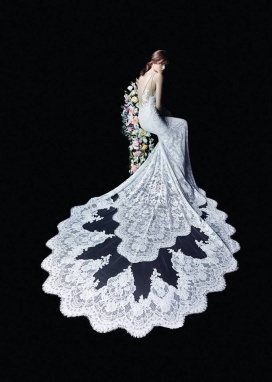 Over 50 gowns are available. Call 0208 605 9008 to book an appointment. Shop for women's apparel and accessories at reduced prices at the Cove Cashmere Clearance Sale. 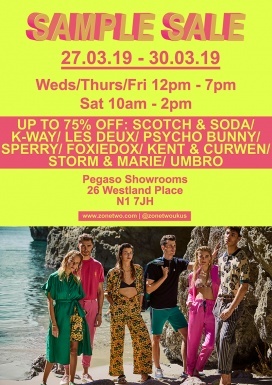 Take up to 80% discount on men's apparel at the Pretty Green Sample Sale.